Select All Muscle — Select 3 parts of muscle system. Select Muscle — Select base muscle object. Select Start — Select start helper object (for ACT Proximal). Select Start Handle — Select start handle helper object (CAT Muscle Strand only). Select End — Select end helper object (for ACT Distal). Select End Handle — Select end handle helper object (CAT Muscle Strand only). √ — Indicate currently selected part of the muscle system. SHIFT + Select Start — Select Start and End helper objects. 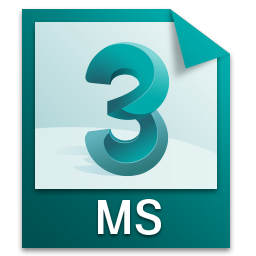 SHIFT + Select End — Select End and Start helper objects.For use the script you must select any ONE part of muscle system. v1.0.3 (11.11.2012) — Added «Select All Controls» which select all controls of muscle object. — Now with SHIFT + «Select Start Handle» or SHIFT + «Select End Handle» selects both Handle objects. 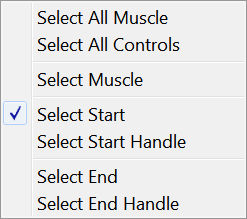 v1.0.2 (25.11.2008) — Now «Select All Muscle» and «Select Muscle» of Muscle Strand(CAT) are fully support. AVG extension is needed for 3dsmax < 2008. — Now with SHIFT + «Select Start» or SHIFT + «Select End» selects both Start and End muscle parts. v1.0.1 (30.09.2008) — Fixed bug when non muscle part object selected. — «Select All Muscle» now selects and _Up node of SkinFX muscle. v1.0.0 (08.02.2008) — Initial release for MAX 2008.